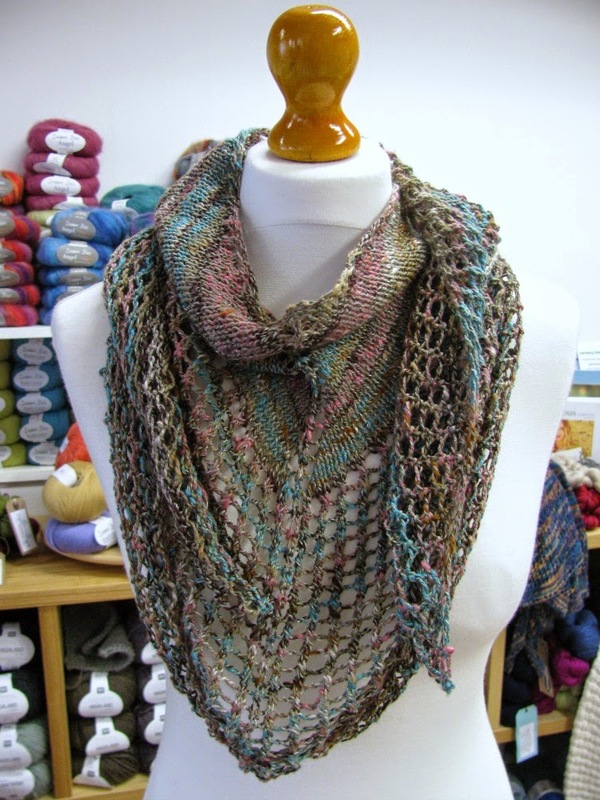 The shawl uses only 2 balls of Louisa Harding Noema. 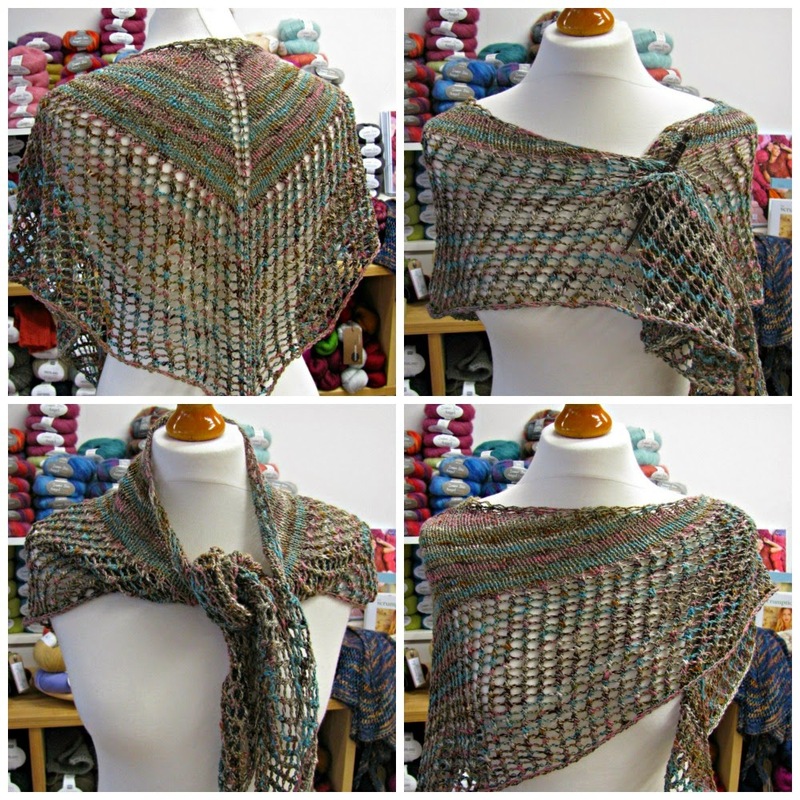 It's a quick knit on 4.5mm needles and uses the simplest of stitches to achieve a lacy pattern. Our Simple Eyelet Shawl featured a few rows of eyelets, this Super Eyelet Shawl has a lot lot more! But its all the same stitches and the pattern is very easy to change - you could add even more eyelets!